Indulgent yet economical, French toast is arguably one of the best dishes to cook for breakfast or brunch. 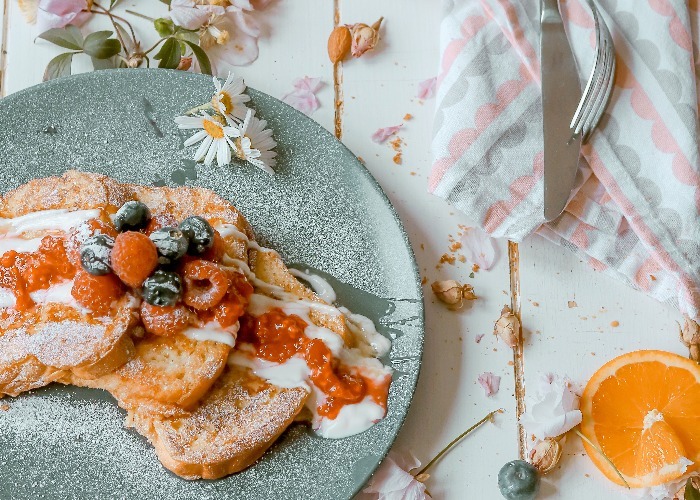 French toast is not necessarily French – there are Latin recipes dating back to the 4thcentury – and it comes in many different guises. Variations of the dish include spicy, savoury, cheesy and sweet recipes. In Spain it’s called torrija, in the UK it's often 'eggy bread' and in France it’s pain perdu (‘lost bread’) or pain doré. While it's relatively simple to cook, there are plenty of ways to make French toast your own. These are our top tips and suggestions. French toast was traditionally made with day-old, dry or stale bread. Not only is this thrifty, the bread is denser so it holds up to the egg mixture. 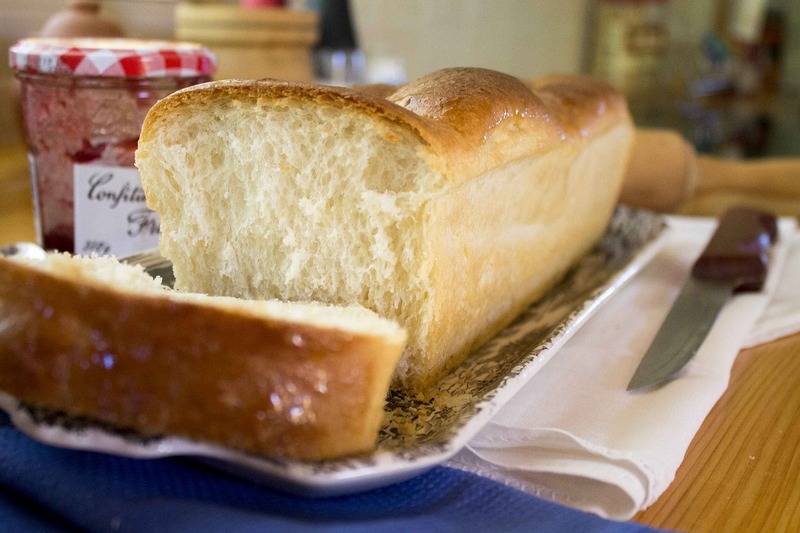 You need a sturdy or thick bread that won't disintegrate. Thin, cheap or fine bread will break up more easily so aim for bread with a crust, such as a baguette. A robust egg-based brioche or challah will stand firm and add extra creaminess, while wholemeal farmhouse can be used as a healthier alternative. The egg mixture is usually a blend of whisked eggs – or sometimes just egg yolks if you’re looking for a richer finish – with milk or cream, sugar, spices such as cinnamon and nutmeg, and a pinch of salt. As a general rule, you'll need around one egg per portion. You can whisk in unsweetened cocoa powder for a chocolatey twist (be sure to get rid of the lumps) or make it boozy with a splash of sweet sherry, bourbon or a liqueur such Cointreau or Baileys. For something warming for winter, especially around Christmas, eggnog French toast is a winner. 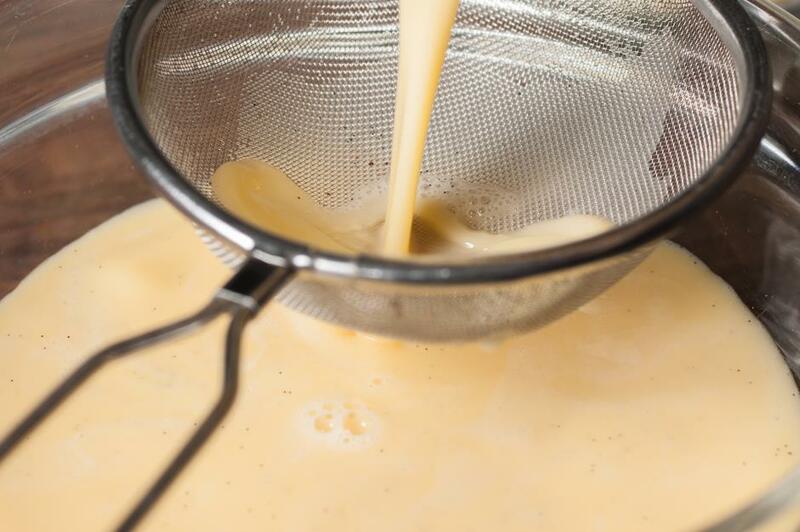 Make a sweet egg mixture then add eggnog before you cook (try this recipe). For a savoury version, remove the sugar and enrich with a handful of grated parmesan and dollop of English mustard. 3. To soak or not to soak? This step depends on how dry and firm the bread is – some cooks advocate a quick dip, others say to soak the bread in the mixture for hours. Just be sure to wait until the bread has absorbed the liquid throughout but remove before it gets too soggy. It’s also worth taking the extra time to strain the egg mixture before dipping the bread. This prevents lumps of egg white from coating the bread. 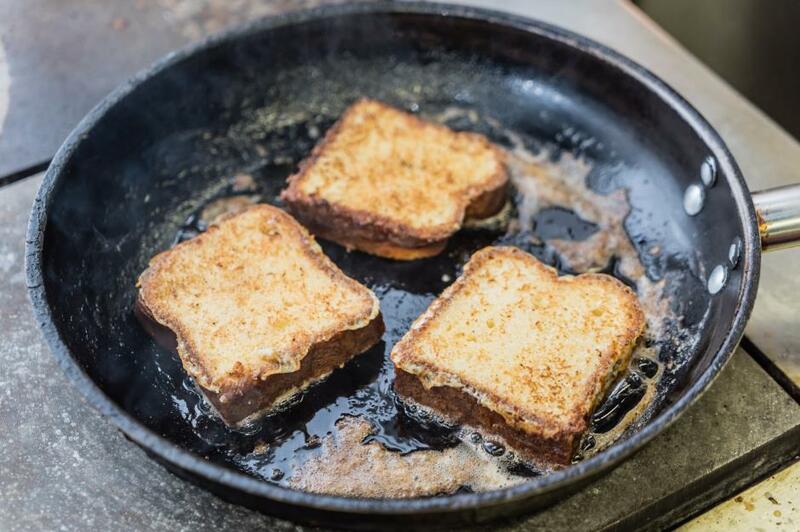 Butter is usually the go-to fat for French toast, but it can burn. A mix of butter and vegetable oil is one option, or you could try clarified butter, otherwise known as ghee, which offers that buttery flavour without the risk of a burnt aftertaste. Fry: Heat some fat in a frying pan until it’s hot (too cool and the mix won’t set immediately) then cook on a steady heat for a few minutes each side, flipping when it starts turning golden brown. Too fierce a heat and the toast will burn before it’s cooked through; too low a heat and the result is pale and insipid. Avoid over-filling the pan as this will lower the temperature and affect the browning process. Bake: If you're making French toast for more than two or three people it’s worth baking a batch. Simply butter and sugar a baking dish, then dip slices of bread into an egg mixture and lay in the dish – the slices should overlap slightly. Pour over the remaining mixture and sprinkle with sugar and cinnamon. Bake in an oven heated to 200°C (390°F) for 20–30 minutes until the top is crunchy and golden. Slow cook: It’s perfectly feasible to make French toast of sorts in a slow cooker. It comes out a bit like bread-and-butter pudding with all the flavours of French toast. 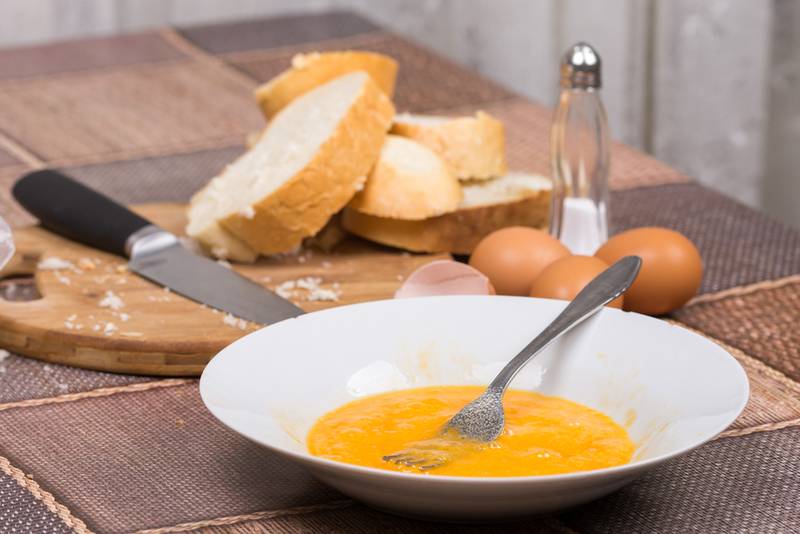 Pour your egg mixture over slices or cubes of bread, allow to soak for an hour or two, then butter the inside of the slow cooker and spoon in the bread and liquid. Sprinkle sugar and cinnamon on top and cook on high for two hours or slow for four hours. 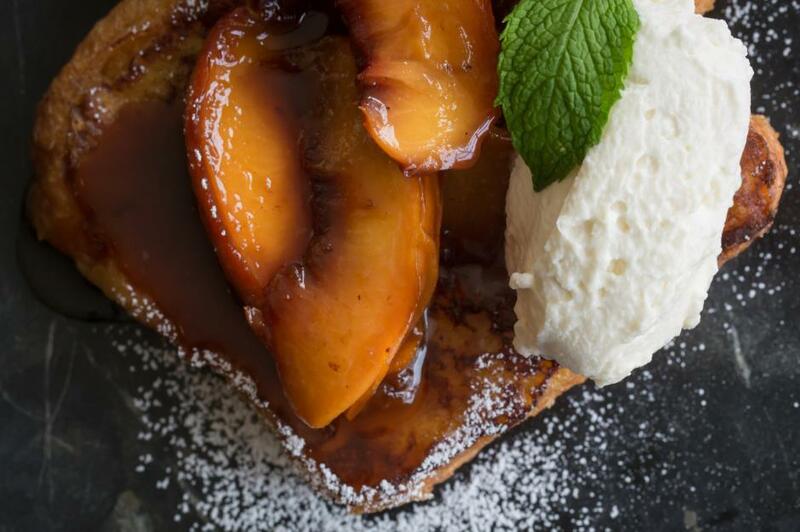 The simplest recipe is just to top your French toast with fresh fruit and a drizzle of honey or cream, or go for the classic combination of bacon and maple syrup. For something more decadent, top with fried eggs, herbs and a drizzle of spicy Sriracha. You could also fill a sandwich with the likes of cream cheese and strawberries, chocolate spread and banana, or peanut butter and jam, then dip the whole shebang into the egg mixture and pan-fry. Looking for something more complex? Try one of these recipes. This banana and chocolate spread French toast recipe is rich, gooey and nothing short of divine. This strawberry jam French toast recipe is perfect with Greek yoghurt. This unusual recipe contains chocolate, cheese and anchovies. Yep, you read that right. Although strictly a grilled cheese sandwich with a difference, it definitely works. If you’re making a batch of French toast, keep cooked slices warm by placing on a baking tray, covering with foil and keep hot in an oven heated to 190°C/375°F. Just don't leave them too long, as they can dry out. French toast can also be frozen. Allow to cool on a wire rack, then wrap each individual slice in greaseproof paper and cover the batch in foil. To reheat, unwrap the frozen toast, cover in foil and bake in an oven heated to 190°C (375°F) for around 10 minutes.